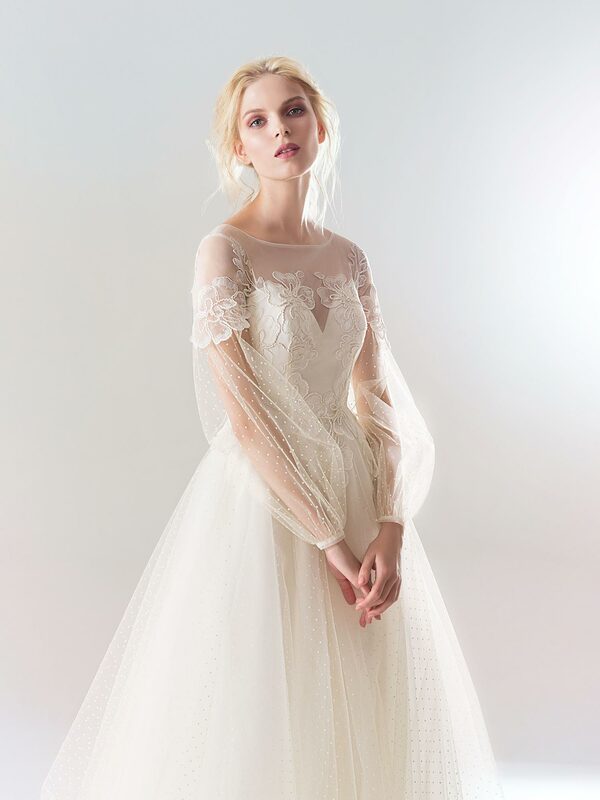 A fit and flare wedding gown with beaded lace bodice and applique down the skirt that is fit for any modern bride. The bodice has a sweetheart neckline with a low back and a fitted skirt that features vertical lace applique. Also available with the long sleeve sheer cape with lace floral details around the neck and back.